The Vodafone sponsored National Hire/Pasifika Tents International Futsal Championship ended last Monday. Indo Solo defeated Huka FC (Vanuatu) 3-2 in what was dubbed as a pulsating final at the Vodafone Arena. Solo led 2-0 at halftime, but Huka fired back in the second half to level the scores 2-2 before Solo snatched the winner 5 minutes before full time. The Solomon Islands club had services of former Fijian national goalkeeper Azmat Begg and Sandeep Nair. A girl’s futsal match was also organised as a curtain-raiser for the grand finale where Rewa thumped Suva 4-0. 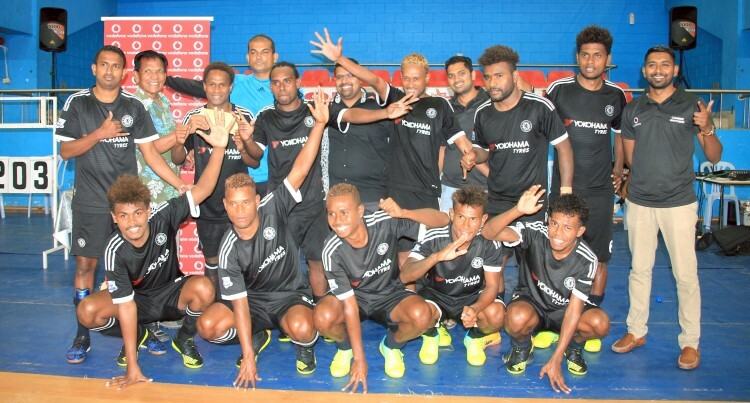 A total of eight teams participated in the week-long tournament organised by Combined Football Club of Suva.